Last week, I wrote a post on how our own internal dialogue can hinder us to move toward our dog training results. I decided to master this dialogue and create successful dog training. Salt Lake City, is a great place to hike. This past Wednesday, I decided to go hiking and put these tools to practice. My biggest stress is when Seiki is barking in the car. Since he has begun steroids his barking has increased more. As a result, my internal dialogue goes crazy. When I believe what it says, I get tense and become overwhelmed. Sometimes I even yell at my dog. Other times I have slow timing on my rewards for when he is quiet. The car ride has been a nightmare for all of us! Wednesday was a day of huge transformation. I was in the car and my intention of fun, connection, love and presence with both my daughter and my dog on the car ride were strong. My internal dialogue had become untrue, and I was not identifying it as me. I became an observer of my thoughts, and I didn’t let them run me. As a result of this, I was committed to Seiki’s dog training. Salt Lake City was now my home for transformation. My timing was rock star on clicking when he was quiet. I also redirected him very quickly when he was getting excited and wanted to bark. I was so in the moment. Training was becoming a joy instead of a burden. When we arrived on the hike the connection my daughter, my dog and I had was amazing! We had an absolute blast, and I was so in the moment of love and fun! In addition to all of the above, the drive home was very peaceful. Seiki was much calmer. When he wanted to bark there were many times he barked once and then he immediately redirected himself to be quiet. What I am communicating is that my energy shifted. I chose to be more committed to fun, aliveness, and training success. My internal dialogue was not running me. I realized my thoughts were not true. 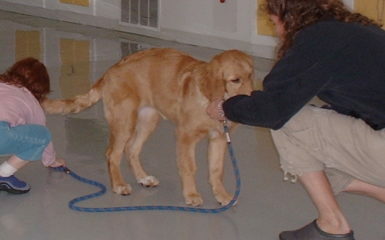 As a result, I was able to transform my obedience training results. Seiki why can’t you be more quiet! I don’t want to train you right now. You should know how to be quiet by now. I just want a peaceful time. I don’t want to spend time training you, I just want to concentrate driving. I can’t wait until we get to our destination. Yep my mind had thoughts. They are unproductive to my success. So I decided to not make them true and really get present with my new intention revolving around love, presence, fun and connection. My commitment transformed the car ride to a more quiet and fun place! 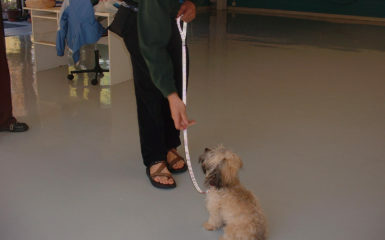 When you are training your dog, put this exercise to practice. 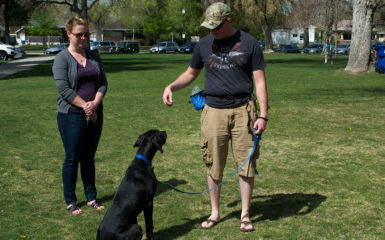 Knowing this is one thing, experiencing the above and putting it into practice is where you will create amazing Salt Lake City dog training results! Notice your thoughts. Realize they are not who you really are. These thoughts are just noise. Then make a choice that moves you toward your goals. Asking wonder and how questions as I stated last week can be helpful. Then set an intention on what you are wanting to create. 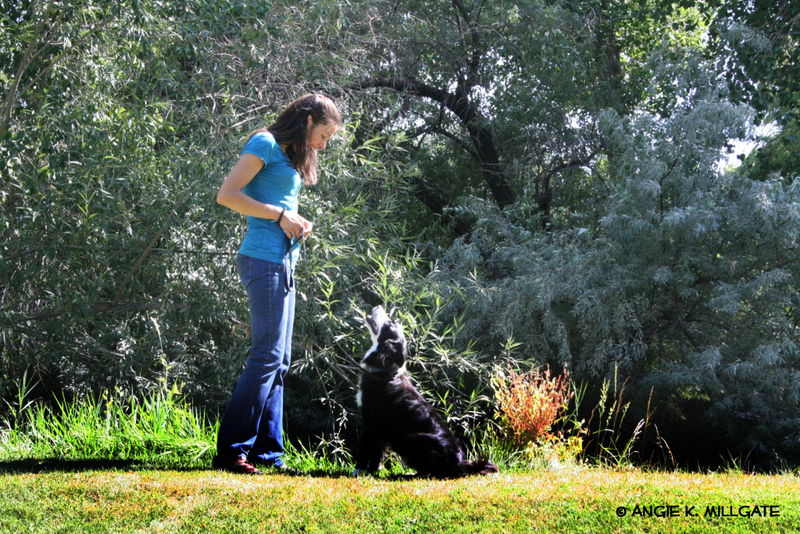 What does your internal dialogue say when you are training your dog? What intention do you want to create instead? 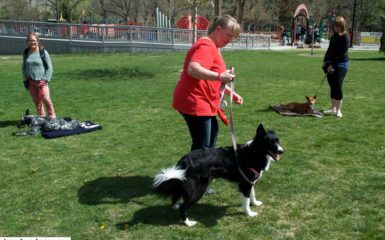 What impact will this shift have on your dog training results? Great point you make! I think one of the biggest challenges for the average dog owner is to not act on their emotional reaction to their dog’s behavior, and to step back from the situation to see it from a training perspective. It’s easy to forget that dogs don’t speak English and know what we mean, so the frustrated thoughts build and just form unproductive anger. This is the moment to reflect on the situation and see it for what it is, and realize what needs to be done to address the issue. You totally got it!!! Excited to meet you in person! Thank you for the comment! Fantastic post Johanna, such valuable information. Was going to add more but Susan Steinwand’s comments are so good, I don’t need to repeat them in my voice! Wonderful!!! Namaste! I love how get this stuff!